Short Ride, Hong Kong by Sinna Hermanto. 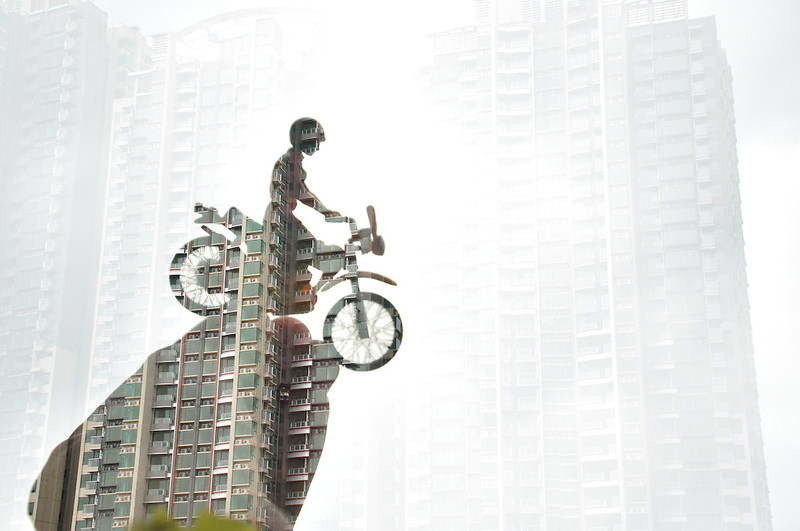 A double exposure image showing a toy figure on a motorbike, against the backdrop of skyscrapers in Hong Kong. Sinna Hermanto is an Indonesian female photographer from Ponorogo, East Java, a city known for its traditional dance Reog Ponorogo. From 2003 to 2016, she lived in Hong Kong as a domestic helper, and she has recently moved back to Indonesia. In her spare time, she uses photography and writing to speak up about the social issues she cares about.